Fire-ravaged areas are a poignant reminder to the rest of us to be prepared. By acting early, you can avoid danger, panic and potentially fatal situations for yourself and your pets. #1. DO YOU HAVE A BUSHFIRE SURVIVAL PLAN? 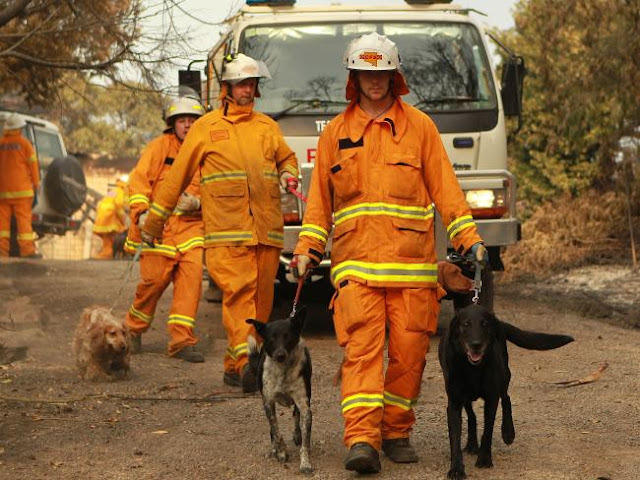 If your home is located near bush, grassland or coastal areas, it is imperative you have a Bushfire Survival Plan that includes your pets. 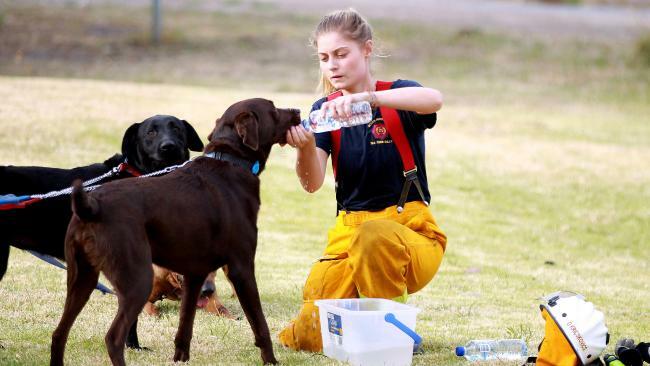 CFA Victoria advises that the safest option is to be well away from high-risk bushfire areas on severe, extreme and catastrophic (code red) fire danger days. Each dog must wear a collar with their name and your phone number. If there is room include your address as well. Put a spare collar with an ID tag in your pet evacuation kit. Ensure your pets are registered with the local council and are wearing current identification tags. Ensure your pets are microchipped and that all the details are up to date. Vets regularly see microchipped strays whose contact details are former owners or include a disconnected number. It is essential that the “alternative contact” you choose for the microchip is someone who does not live in the same home as you. That way if you are not contactable, they may be. If you're not sure which register your pet is currently on, read our story for "National Pet ID Month". Put together the items you might need if you were forced to suddenly evacuate with your pets. Keep them somewhere safe and easily accessible, and ensure all members of the family know where to find them. Check your kit periodically to ensure contents have not expired. Contact details for your vet, local animal shelter, local council and/or chosen animal accommodation facility. #4. HIGH FIRE RISK DAYS: WHERE WILL YOUR PETS GO? Plan ahead as late evacuation can be dangerous. To avoid unnecessary risks to you and your pets, move them to a safe place as soon as possible. If you know an evacuation order could occur in the near future, consider moving your pets into temporary accommodation in a safe area well before there is any need to evacuate. Having your pets spend a short time away is better than taking the risk of not being able to take them if evacuation orders are issued. 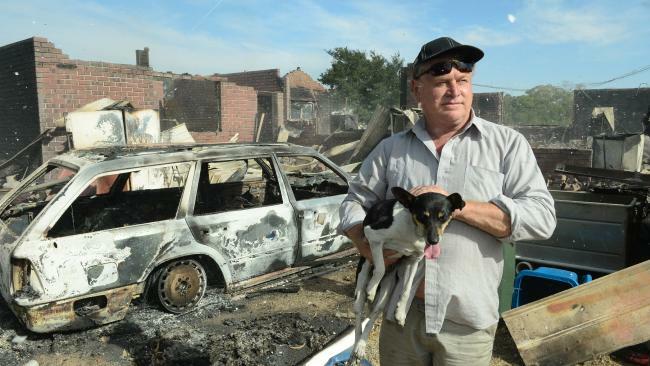 Many evacuation centres do not allow animals, including family pets. Check with your local council about pet-friendly options. If you intend to move them to a friend or family member’s home, discuss it with them now. If you intend to place them in kennels or a cattery, make a list of available facilities in the area and include their contact details. Ensure it is easy to find a number and call them in advance to check availability. It’s imperative that all vaccinations are up to date and you have records with you, as many boarding facilities will not take animals without proof of their current vaccination status. Have a chat with your neighbours so that everyone is on the same page in terms of bushfire plans. If they are home on a high-risk day they will then be aware of your wishes for your animals, and you theirs. There is no more important time for crystal clear communication and teamwork than during an emergency. Like any emergency drill, your evacuation needs to be well practiced. It will always take longer than expected, but if you go through the motions a few times a year you will have the confidence to work through what needs to be done in a logical order. Ensure every member of the family knows the plan and where to find the necessary equipment. 1. If your pets are outside, bring them into the house so they are confined and easy to catch for transport. 2. Find your pet evacuation kit. 3. Check your pets have collars with identification attached. 4. Put small dogs in individual carriers or crates and larger dogs on leashes. 5. Load your pets and then your pet evacuation kit into your vehicle. 6. Go for a drive. Practice the route you would take in an emergency. Keep in mind that evacuation is stressful for all involved, including family pets. Opportunities to become comfortable with carriers and transport coupled with lots of positive reinforcement can help immensely. Bringing their familiar bedding and a favourite toy can also assist them in feeling calm. When away from home ensure plenty of opportunities for toilet breaks and leg stretching and regular access to drinks of cool, fresh water as dogs are at serious risk of heat stroke during extremely hot weather. 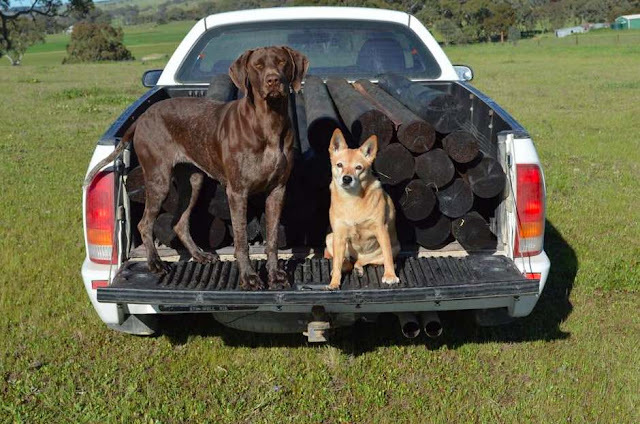 Keep safe this summer and if you have any other advice for including your dogs in a bushfire survival plan, please feel free to add your comments below.